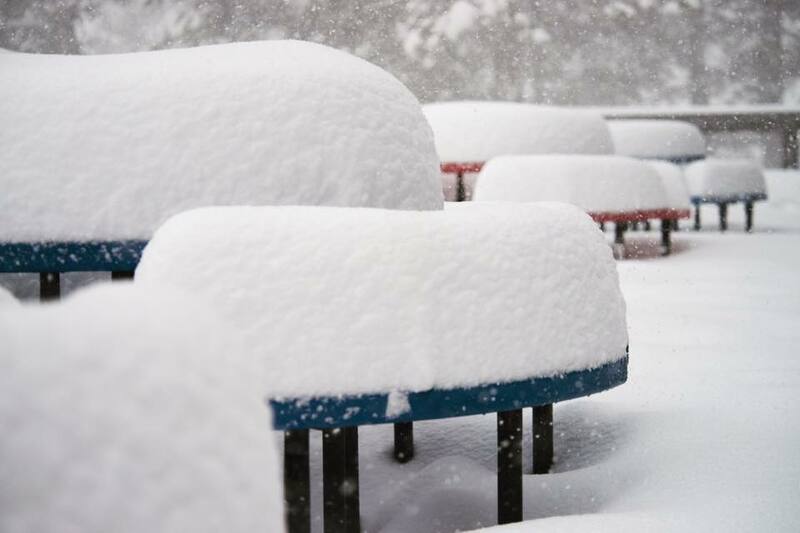 A winter storm will move into the Sierra Tuesday evening and last into Wednesday. While this is only a weak to moderate winter storm, it will cause significant travel delays in the Sierra due to the Thanksgiving holiday and heavy traffic volume. 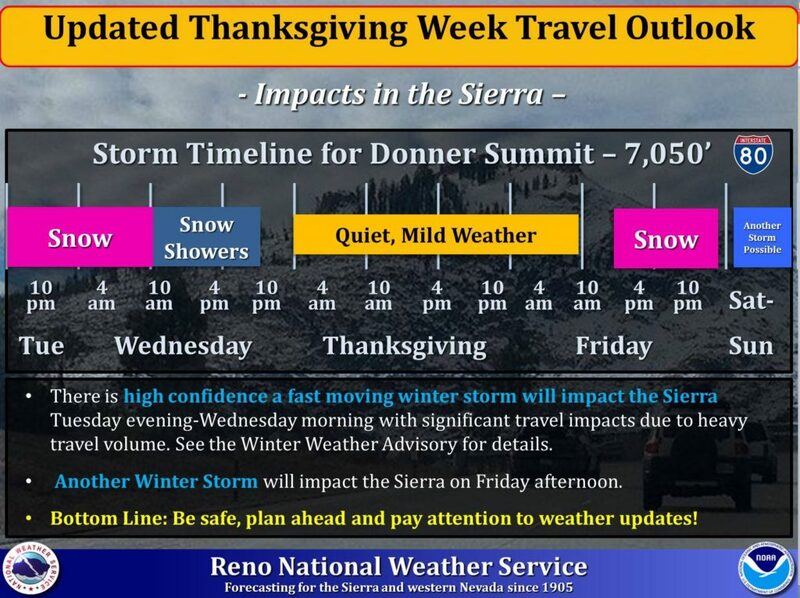 Thanksgiving Day will be mild and sunny, and then another winter storm is forecast to impact the Sierra starting Friday afternoon while will result in more travel issues with winter driving conditions likely. The latest forecast simulations are showing a break Saturday into Sunday, with possibly a colder system expected for Sunday evening into Monday with the potential for additional snow in the Sierra and snow across western Nevada as well, but uncertainty remains high with the details for now. Bottom Line: Be safe, plan ahead, allow for extra travel time or adjust travel days, and pay attention to the weather forecast.